Summary: People...fighting...with some sort of super power...in a futuristic world. Personal comments: Can I just say, "I don't get it"? Nothing made any sense. 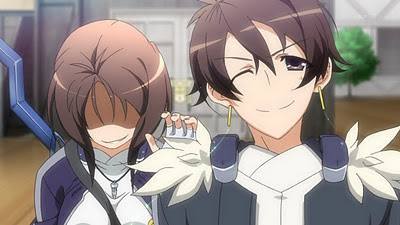 Oh, and for whatever reason, to me, I can't tell exactly what, but it's giving me a distinctly similar ring as Infinite Stratos, which as far as preconceived notion goes, it's a bad thing since IS is just crap. I'll let it ride a bit more before I make a decision whether to drop it, but as it is right now, I don't think it's going to stay for long.